VSTMM871C Charcoal Poly Blend Flat Front Slim Fit Trouser Need Help? 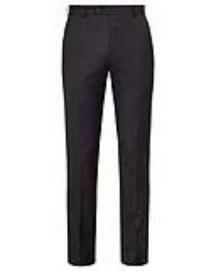 Slim Fit: This Slim Fit Trouser provides a thoroughly modern look for business or pleasure. Charcoal, Poly Viscose Slim Fit, Machine Washable, Easy Care.